When are blade servers a good fit for data environments? Is the available space a crucial issue? 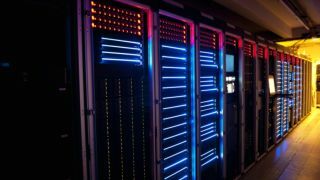 IT managers now have a myriad of choices for server replacement, and for many, with space at a premium, the traditional rack and tower servers are no longer sufficiently efficient. Over recent years blade servers have become popular for a number of reasons, none more so than their compact size and the removal of some basic component such as a power supply to the mounting chassis. They have also become better equipped to handle virtualisaton. IT managers need to think about the onboard memory available if their blade servers are intended as hosts for virtual machines, and how the servers will access storage. Using the Serial Attached SCSI (SAS) protocol may be difficult, as this can be limited by the available chassis space, and many businesses now prefer to use a storage area network. Blade servers of the past have been limited by their expansion capabilities, not having the PCI Express standard for maximum throughput. But now they can handle expansion using mezzanine cards (sometimes called fibres) that can handle interfaces including Ethernet. They can also usually support 2GB network cards with the interface itself built into the server chassis. 1. Are you purchasing or planning to deploy six or more servers for a single location? 2. Do you have the infrastructure to support 208v power? 3. Are you standardised on external networked storage (FC/iSCSI/NAS) or do you have workloads that require only minimal levels of local storage? 4. Do you require Enterprise Class RAS and/or manageability for your servers? 5. Are you facing challenges with data centre space? 6. Do you desire more automated, simplified server management? 7. Would you like to optimise your data centre power and cooling or reduce your current data centre energy consumption? 8. Are you in the process of consolidating workloads or virtualising your environment? 9. Are you adopting or planning for 10GbE (LAN and/or SAN) or InfiniBand? Moving to blade servers is a decision that needs to be taken carefully: change in the server infrastructure that your business uses will be a long term commitment. The chassis that the blades will use carries many of the components that are built into a traditional server. Removing I/O ports, power supplies and cooling from the server itself offers flexibility, but care must be taken to ensure each chassis it full and working at its optimum capacity. For IT managers looking to expand their servers from existing tower systems, or racks that are taking up too much space, the blade server can offer the ideal solution. Once the chassis is in place, the expandability on offer more than pays for the initial outlay, as businesses find that as they expand their blade server infrastructure can grow with them.